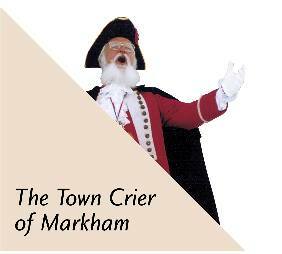 This website is designed to give you several different tours of the Town of Markham. It will provide to you, a light hearted way to learn about the first community to receive the Prince of Wales Award for built form. We are just as proud of our heritage as we are to be nicknamed ‘The High Tech Capital of Canada. We truly live our motto: “Leading While Remembering”. I have been conducting historic tours in the area for a decade and a half. Much of the information has been provided by research, but I’ve also included some of the stories that have been told to me by people who have been on my tours. If you have a story or some information, please contact me and share it. The site is still under construction and is growing, so come back often. Thank you to the Staff at Heritage Markham and the Markham Museum, as well as all those who have contributed. And a special thanks to Phil Howes, who created the templates for the site, and fixes things when I break them. Please click on one of the Tours on the left and enjoy.